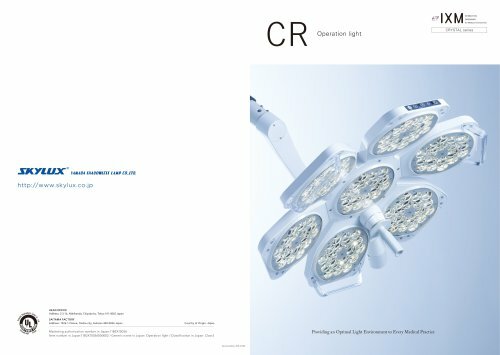 Sophisticated design Standard model with a light-weight, thin design, equipped with “Medical LEDs”. Smooth airflow We used a design that ensures a path for airflow. This allows for a constant stream of pure air to be sent to the operation site during the operation without blocking the air from the ceiling.